Little John Bottle Brush is a dwarf shrub native to Australia that grows from 3-5 feet tall by 6-7 feet round. 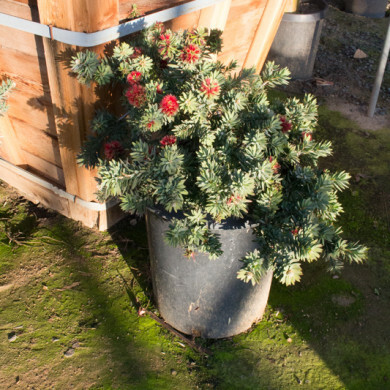 It is drought tolerant and cold hardy to 20°F. 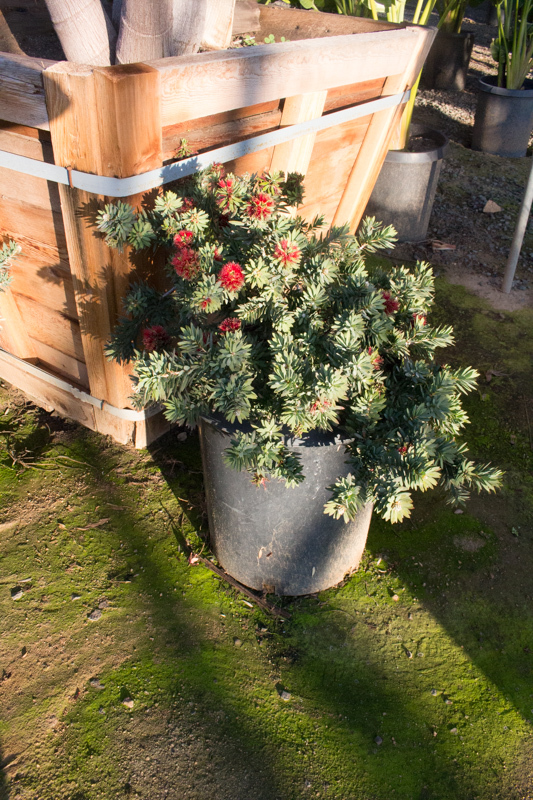 Little John has a bright red bloom that starts in early summer into late fall.